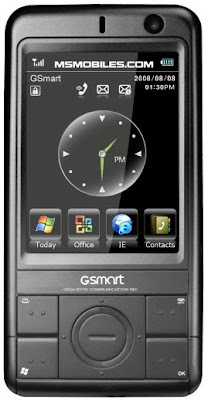 Gigabyte GSmart MS802, a new smart phone announced by Gigabyte Electronics loaded with bundles of amazing features and high technology. The phone features an amazing TFT touch resistive display screen of 2.8 inches with 65k colors for superior display quality. The phone features a sleek Iron Gray colored design which makes it ultraportable with weight of 130 grams having dimensions 117 x 59.8 x 14.8 mm. 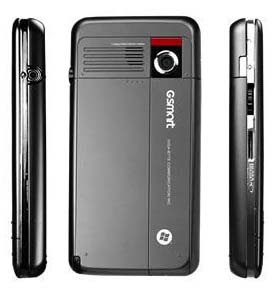 Who needs a digital camera when you have Gigabyte GSmart MS802! This superb phone comes with a built–in 3.2 mega pixel camera with auto-focus feature for still and clear photography. The images from the camera come with a high resolution of 2048 x 1536 pixels. The phone also features a secondary camera for easy video audio conferencing. The Gigabyte GSmart MS802 is yet to take its roots in the markets and is expected to hits the markets by the end of this year.